Gary Wong collaborated on http://www.hkcinemagic.com/en/page.asp?aid=326and he has just released a book based on his own blog, with 200 locations to visit in Hong Kong. 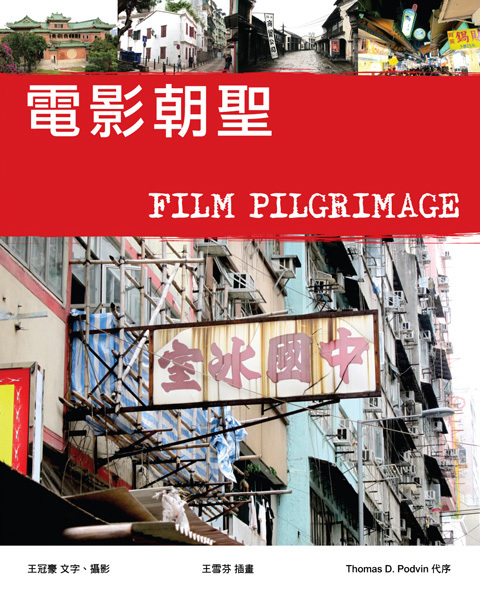 It's called Film Pilgrimage 電影朝聖 and it is mainly in Chinese. I have had the opportunity to write a foreword for this book. I have received Gary Wong’s book and I have to say that it’s pretty cool and it contains nice photos. Gary plans to make an English version, but nothing is sure yet and I don’t know when it will happen. 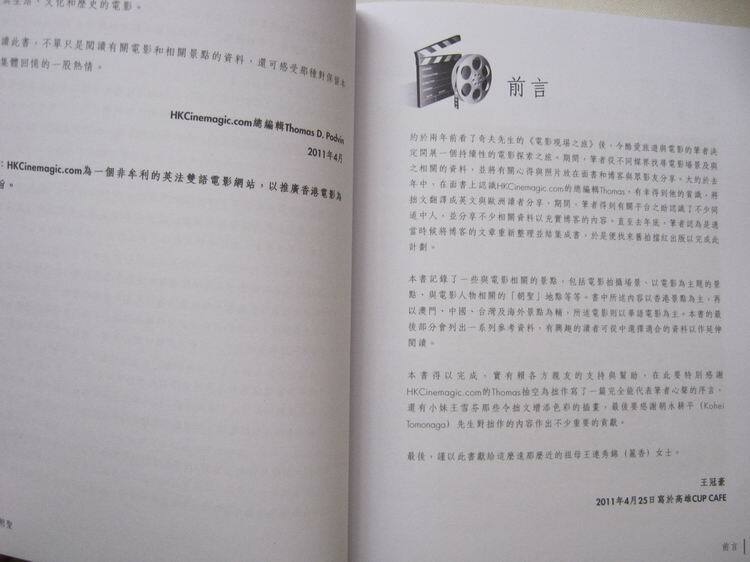 As the book is in Chinese, and I was a little bit involved with it, I’m only going to introduce it and I won’t review it. 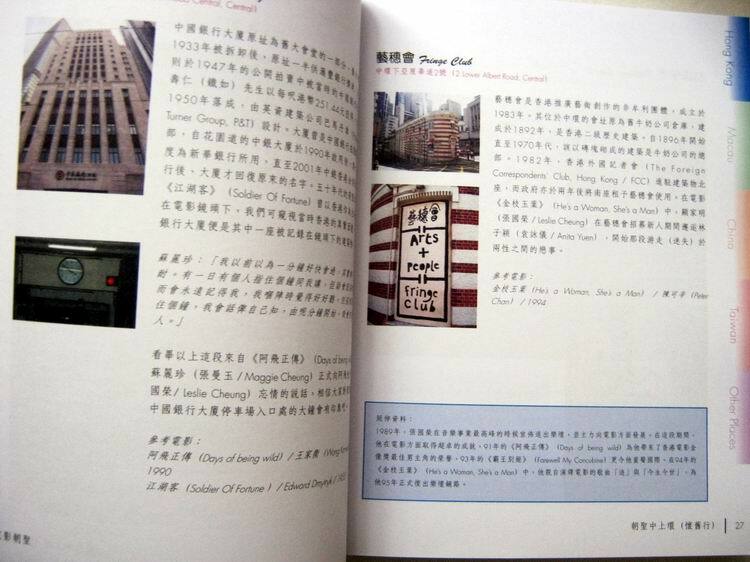 The book is divided into chapters corresponging to countries and within the Hong Kong chapter, by far the biggest, Gary divided the location by districts. 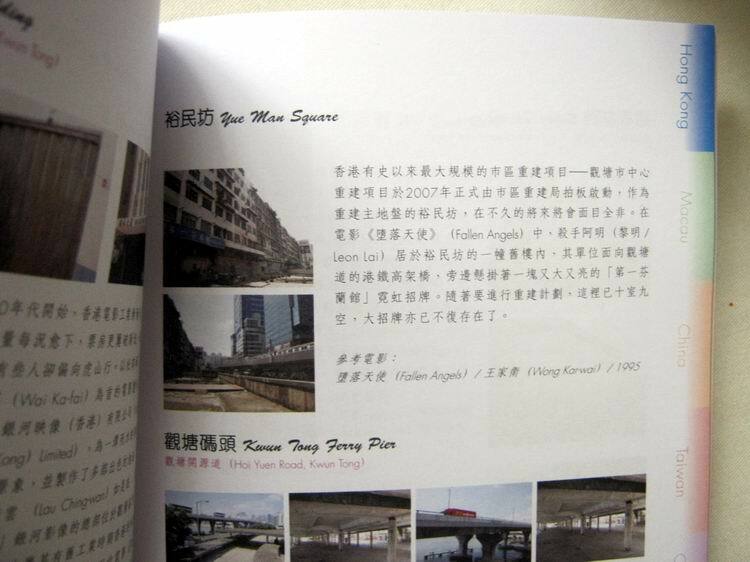 The main parts are HK, Macau, China, Taiwan, and some other locations under the “Others” chapter (Japan, Europe). For each location, Gary provides the name and address of the place, photos, a short description or history, and he tells how the location is featured in the film, and also he shortly comments on the film. 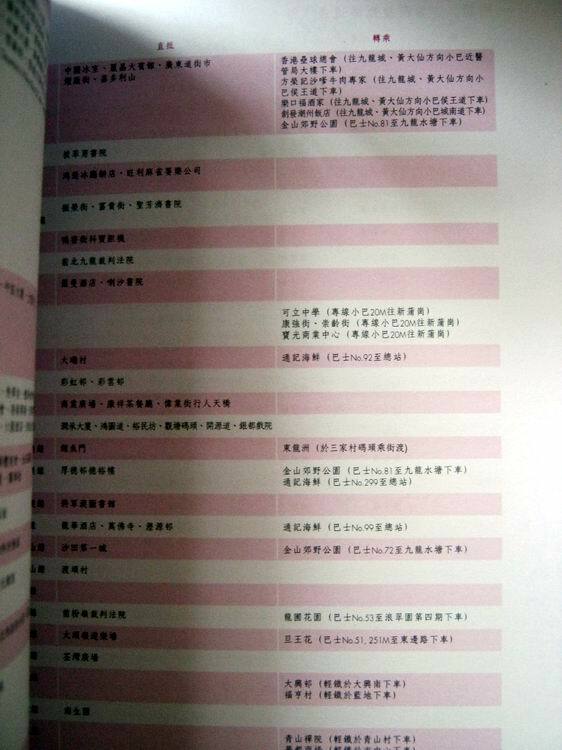 Some location names, film talent names and film titles are in English, but everything else is written in Traditional Chinese. The luckiest among you able to read Chinese will be able to appreciate this guide and to visit Hong Kong from a new perspective discovering not only HK rich film culture but also wonderful culture and architecture. There are not just film locations to check out in Hong Kong. Here are details on Bruce Lee's former residence. 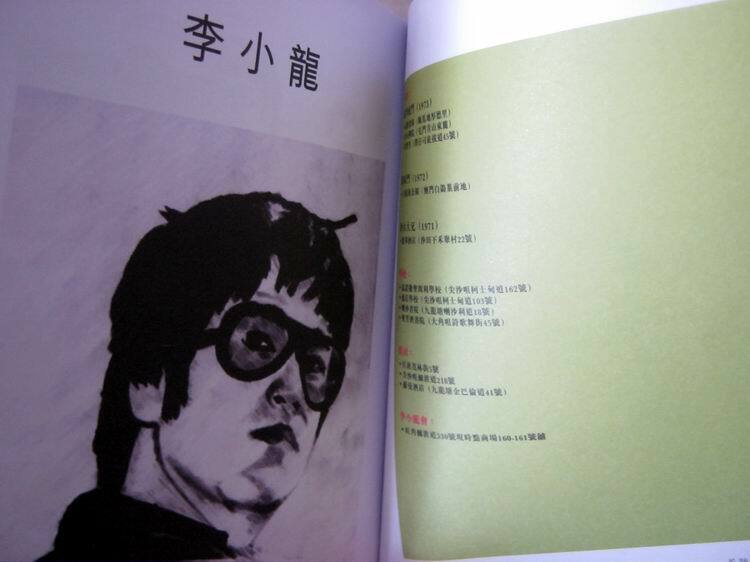 The book ends with the footprint chapter on three of Gary's favorite filmmakers, Bruce Lee, Johnnie To and Wong Kar Wai. 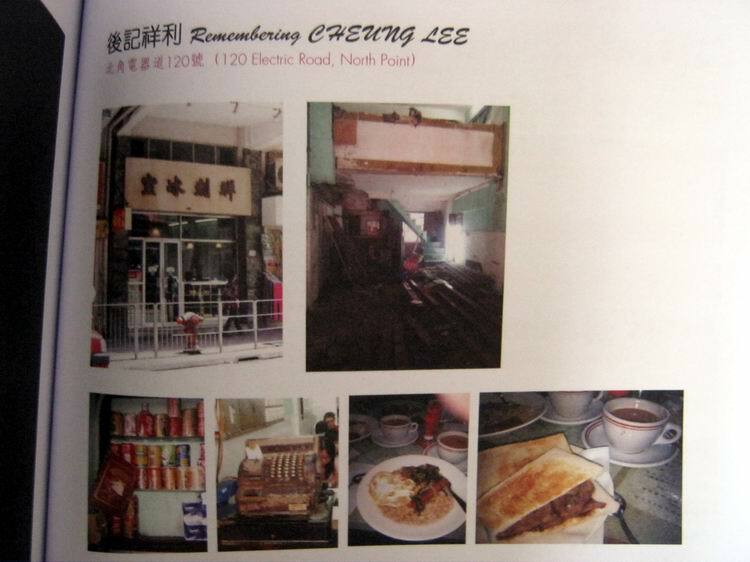 This is a tribute to an eatery that was demolished during the making of this book. It was a location for Johnnie To's Sparrow, among other films. 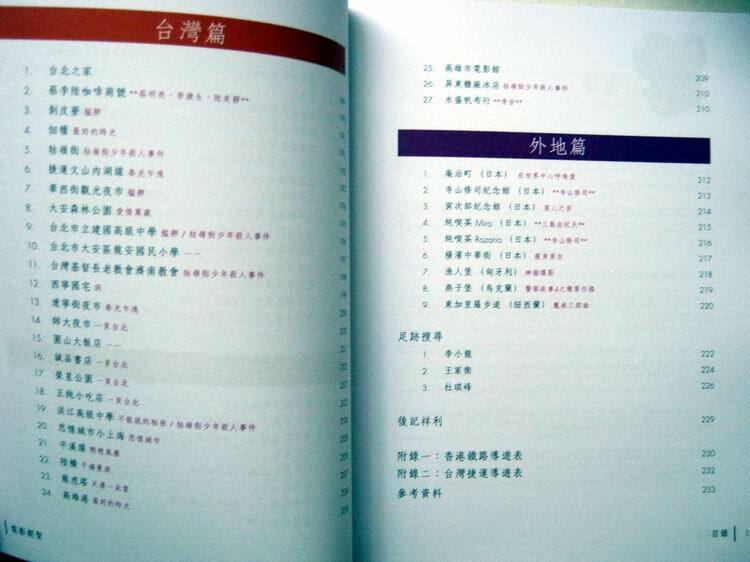 The last few pages consist in a table summarising all the locations reviewed in the book and a few pages of resources. There are about 240 pages in total. If you live in HK, I am sure there is a place near your home, a bar, an eatery, a school, a hotel or old building, etc., that was once used in a movie! By the way, any feedback, positive or negative, is . I'll pass any comment along to the author. 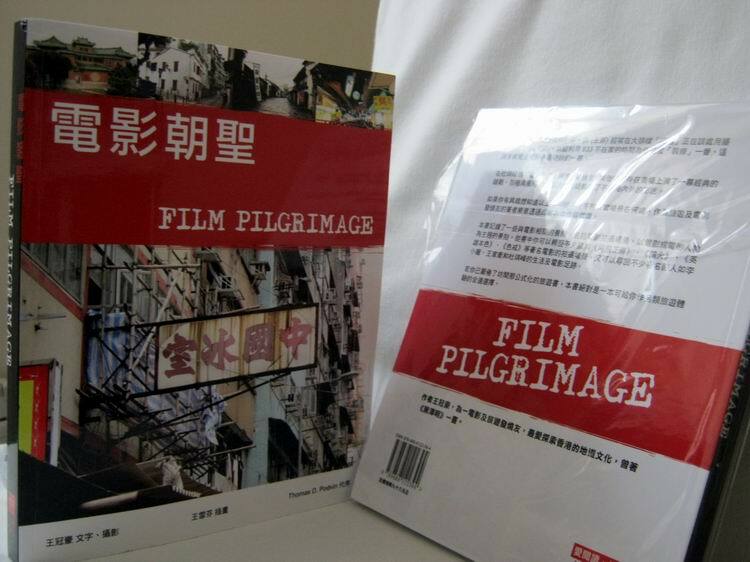 The book is really beautiful and the content looks like a holy bible to Hong Kong film fans! So sad the English version won't be available before my trip to HK. I'm expexting it before the next one. Thank you, Manolo, hopefully an English version will come out. 6. Some small book stores such as Best Reading Book Stores (http://www.goupmall.com/shop/bestreadingcwb) in Mong Kok & Causeway Bay also carry the book. 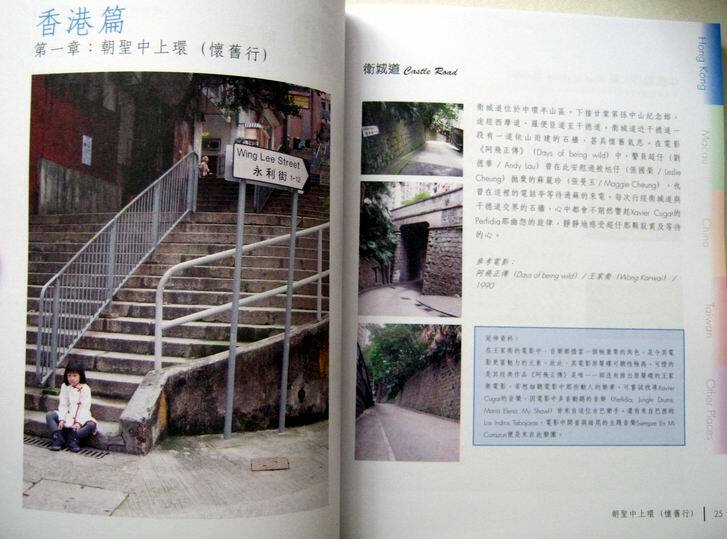 I must say these informations on HK Film location were really useful during my short trip in HK, and I would be glad to buy the book when it's edited in english ! Cool and happy you liked the info and they were useful. Is there a version of this book in English yet? Hello, there is no English version of this book. The author is working on more projects and he hopes to get an English version out as well as a Chinese version. Anyway, the book sounds very interesting, and I too would love to see an English-language version. 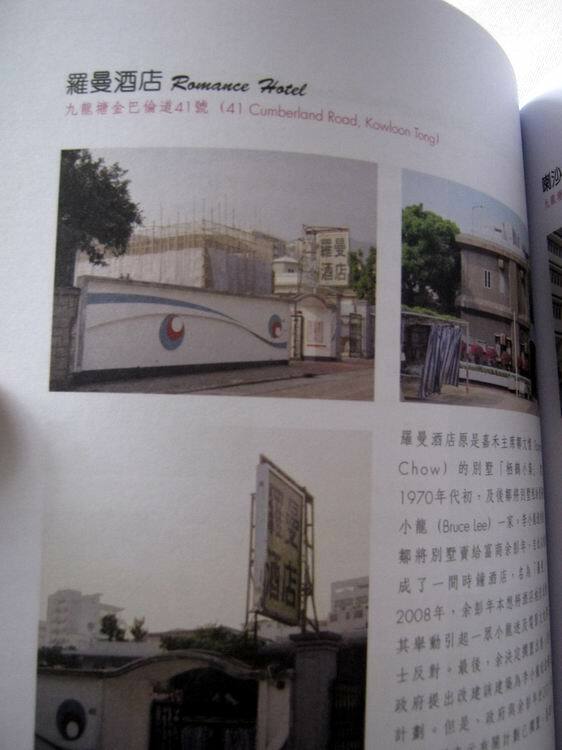 I'm an ex-Hong Kong'er myself, born and raised there and now live in the States, but sadly can't read any Chinese. At the time I mentioned a translated version, the author told me that he plans a tome 2, as an e-book version, and hopes he'll be able to get it translated into English. Hopefully, will be able to enjoy this soon.